Laura Strambi is a good example for the fashion industry. Laura Strambi YOJ brand is the first high-end brand combining luxury, fashion and a deep awareness of environmental-friendly resources in her research. It's a brand with a strong feminine identity, a minimalist style, and clean, basic designs. In addition to a high amount of creativity, her collections are totally eco-friendly and entirely Made in Italy. One of the brand’s priorities is to produce an entirely sustainable fashion creating top-quality elegant and refined garments in respect of the environment and of our planet, embracing the key principles of "green philosophy". All the fabrics are certified and traceable and come from top Italian manufactures; dyes are all heavy-metal free (azo-free) and all production processes are carried out in respect of the highest standards in terms of water and energy saving. The brand uses only organic cotton produced exclusively for Laura Strambi in Italy; the refined duchesse is by Newlife like the new cotton and silk blend used for eveningwear; a number of materials are sourced from the Fair Trade circuit. 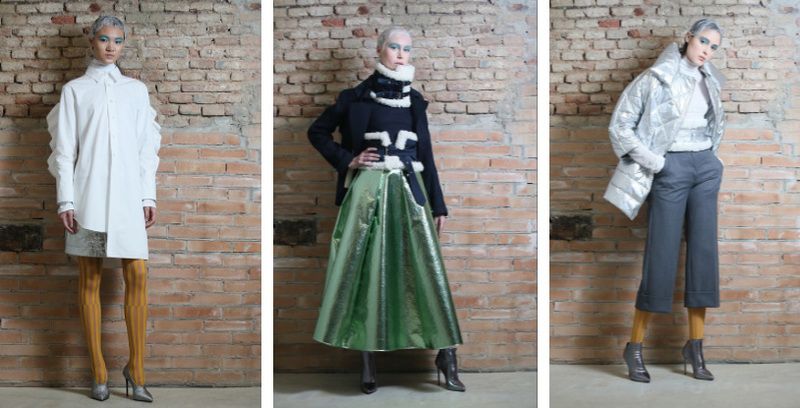 Further, the brand only uses local workshops for the tailoring and finishing of the Laura Strambi garments, to limit the impact on transportation and distribution. The brand only employs materials produced in respect of human rights regarding labor conditions, uses only organic fibers and natural dyes and chooses production processes that will fulfill these standards. We hope that in the near future all fashion companies will have the same eco-friendly consciousness of Laura Strambi.